Pocket pairs are doubly enticing in no-limit hold’em. Not only do you already have a “made hand” — that is, one pair even before the community cards arrive — but the relative rarity of being dealt two of a kind makes the hand all the more attractive. You only stand to be dealt pocket pairs once every 17 hands, which can make them hard to resist playing, even if it is just a lowly pair of deuces. But while pocket pairs are nice starters, they aren’t always nice finishers, particularly when you’ve been dealt “medium” pocket pairs ( down to ) or “small” pocket pairs ( down to ) — in other words, hands that don’t stand to remain best all of the way to the river without improvement. Frequently players who have been dealt small-to-medium pocket pairs wish to see a flop primarily with a hope of hitting a set. Flopping sets can be especially lucrative, leading to the winning of relatively big pots. Say a player raises with and you call from the big blind with . A flop of can then translate into a big win for you as your opponent takes his top pair, top kicker up against your hidden set of fives. Such a strategy is sometimes referred to as “set mining,” with the phrase likening the seeking of an elusive set to mining for gold or other precious metals. The term also perhaps evokes the idea of a land mine — that is, a hidden explosive device — insofar as the opponent running into someone who has hit a set will sometimes endure significant damage to his or her stack. Usually “set mining” refers to players calling preflop raises with those small-to-medium pocket pairs, and that’s the situation we’re focusing on here. Sometimes you’ll want to raise with pocket pairs — even small ones — depending on position, stack size, your opponents’ tendencies, and a host of other factors. But let’s just look at the decision over whether or not to call a raise with a small pocket pair in the hopes of hitting a set and winning big. The answer to one of these questions never changes, while the answer to the second depends on the situation. How often will you flop a set with a pocket pair? We noted above how the odds suggest you’ll be dealt a pocket pair once every 17 hands. That’s one of those unchanging truths about hold’em. There are 78 different combinations of pocket pairs and 1,326 total combinations of two cards, and 1,326 divided by 78 is exactly 17. So, too, does the chance of flopping a set remain constant in hold’em. Here the math is a little more complicated, but it works out to just a little worse than 7.5-to-1 that a trey will fall if you are holding . That’s a little under 12% of the time. How much will you win if you flop a set? First, let’s look at the pot odds being offered when the blinds are 25/50, an opponent raises to 150, and you’re considering a call from the big blind. There is 225 in the middle with the raise (your big blind of 50 is already committed), and you need to call 100 more to see the flop. Calling 100 to win 225 here would mean you are being offered pot odds of 2.25-to-1. That wouldn’t be such a good call if you know the only way you can win is to flop a set and the odds of that happening are 7.5-to-1. You’d want pot odds closer to that ratio (or better) to proceed. But you aren’t looking merely to win the 225 in the middle. You hope to win a lot more than that if you flop a set. Thus it is important to consider both your own and your opponent’s stacks and think about how much more you can potentially win should you successfully hit that set — in other words, the implied odds being offered to you. One way to think about this problem is to realize if you are only going to flop a set once every 8.5 times you call such a raise, you therefore would need to make at least 8.5 times your investment in order to break even when making calls in this spot. In truth, however, there will be times when you flop a set and win very little. You’ll even lose sometimes when flopping a set. So you need to win considerably more than just 8.5 times your investment in order to justify calling and set mining. Some have suggested a “Rule of 10” in this situation that says you must stand to win at least 10 times the calling amount in order to proceed with your set mining. Others put the figure even higher at 20 times the amount you’re calling. In other words, by calling the 100 you’d want to win 2,000 if you flop your set — which means, of course, that you and your opponent each must have at least 2,000 behind for you to call. The point is the effective stacks need to be deep enough to justify making what would otherwise be a not-so-great call. The big math error in this spot would be just to call an opponent who has too short of a stack to justify your set mining. Say he raises to 150 and leaves himself just 500 behind — to call with an idea of flopping a set in that spot would be a mistake. Set mining is only one of many possible approaches to take when playing small-to-medium pairs. But if you do choose to play a pocket pair passively before the flop by calling a raise, be sure to understand both the (slim) chances of hitting your set as well as what you stand to win if you do. 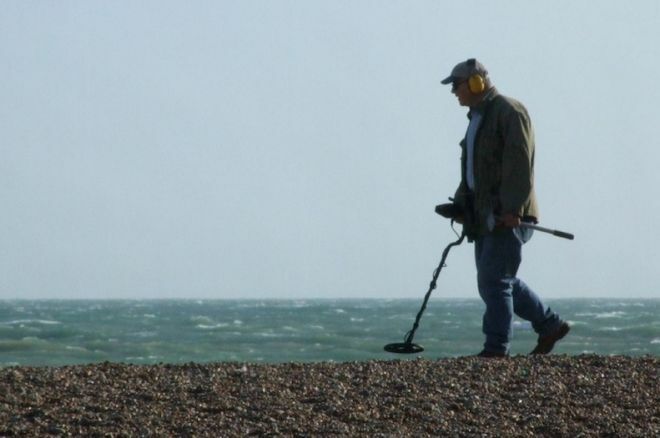 Photo “Treasure hunter,” Les Chatfield. Creative Commons Attribution 2.0 Generic.